grandmother at the age of eight. Executive Chef at the award-winning Sandpiper Resort in Harrison Mills, BC. He is passionate about preparing fresh and locally sourced sustainable, and responsibly harvested ingredients for his family, friends and guests. 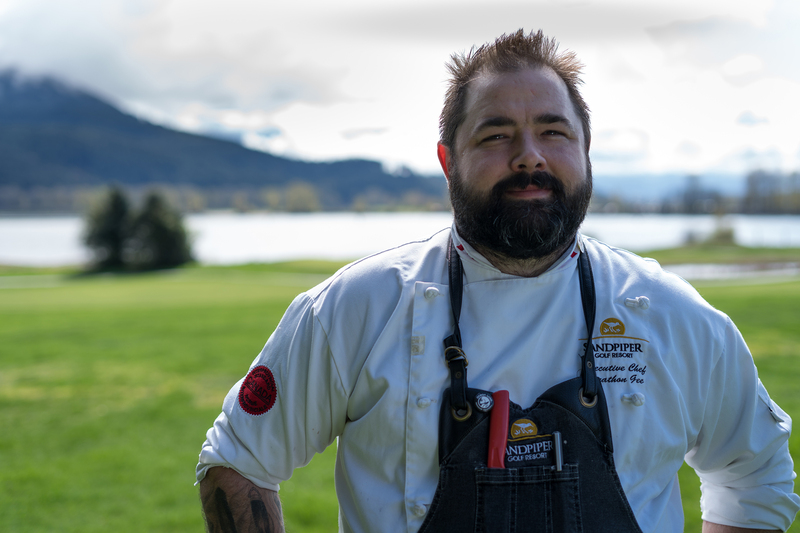 Jonathon is currently working towards being a Certified Chef De Cuisine, and is a part of the BC Chefs association and the Canadian culinary Federation.